At Clear Choice Exteriors Your Local Window Depot, we are proud to provide Fostoria, OH, and the surrounding areas with affordable and reliable services. Our experienced team handles everything from entry door replacement to roofing repair. With our company, you’ll get everything you need to upgrade and enhance your home. Clear Choice Exteriors offers a crew of experienced roofing installers that can install a roof on your home that will stand the test of time. We offer roofing materials which are engineered to last for several decades. Few people consider the condition of their windows. In actuality, windows age and need replacing just like other parts of your home. We are a locally-owned and -operated business. Owner Daryle Reinhart was born and raised in Fostoria. He and his son, Ethan, have been a part of the local community for their entire lives. 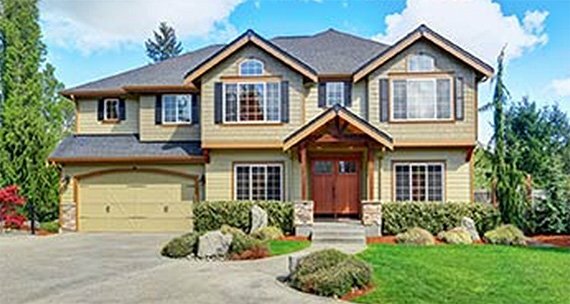 Our experienced team handles exterior improvements ranging from windows and doors to roofing repair. With our company, you’ll get most everything you need to upgrade and enhance your home. Clear Choice Exteriors is affiliated with Window Depot USA. The support of this network gives us the national buying power to pass along exceptional savings to homeowners in need of window replacement.